Home » News & Views » Education, Employment & Training » What Is Plagiarism? Let’s just get a couple of things out in the open. When you copy someone, you are not flattering them. It’s one thing to emulate someone’s style, to dress like the Hollywood celebrity of the moment, or the latest MTV darling. It’s quite another to copy someone’s writing. That’s plagiarism. Another word for it is stealing. A lot of people may have never considered the two to be one and the same, but they are. Taking someone else’s creative work and calling it your own is theft, plain and simple. While you’re not in danger of any plagiarism cops showing up at your door to arrest you for plagiarizing a term paper, you are still putting yourself, your academic career, and possibly even your professional career at risk when you copy other people’s work. It’s important to know the full definition, and note that it includes not just using someone else’s work but “closely imitating” it. So if you’ve ever thought that changing a word here and there, or flipping around the order of a piece of writing was enough to avoid plagiarizing the work, you may have been plagiarizing without realizing it. This is called negligent plagiarism, but it’s still not an excuse, and won’t prevent you from suffering any consequences. While plagiarism can be defined as copying someone’s writing word for word, that’s not the only type that exists, and why you may be plagiarizing without even knowing it. Be aware, though, that ignorance of what plagiarism is would not be a defense were you shown to have been copying someone’s work in any manner. Think about whether you might have ever done any of these things when preparing schoolwork. You might need to change a few habits to avoid risk. This is pretty self-explanatory. Copying a sentence, paragraph, passage, page, or entire written work, and then pasting it into your own document to hand in as your own work is plagiarism. This is the most obvious type of content theft, and it shouldn’t be any surprise that it’s wrong, and that the consequences for it would be dire. If you take a piece of content, and go sentence by sentence, paragraph by paragraph, copying the ideas and rationales the writer used, but wording the sentences differently, you’re copying the author’s reasoning style, and the format that was used in the original work. For example, a piece might follow a logical format that presents a problem, asks how it can be solved, and then offers a solution. If what you write follows that same logical progression, even if you use completely different wording, you are committing style plagiarism. Tornadoes, also called cyclones or twisters, are columns of air that rotate while in contact with both a cumulonimbus cloud and the earth’s surface. The air column may also be in contact with a cumulus cloud’s base, in rare cases. You can see how nearly all the same words are used, but simply appear in different order. No original thought went into the plagiarized piece. It’s still copying someone else’s writing. The stars glittered like precious jewels against the velvet fabric of the sky. If, in your writing, you also compare the stars to jewels, or the night sky to velvet, you are copying the author’s metaphors, even if all the other words around them are different, and your original contributions. Not all nonfiction writing is the statement of facts. Writers may present new ideas, or new perspectives on existing ideas. They may draw unique conclusions built on existing data. To take those perspectives, conclusions, or original thoughts as though you came up with them on your own is idea plagiarism. Sadly, plagiarism is a common occurrence in schools across the country, and around the world. It’s frequently discovered in high schools, colleges and universities, and even graduate-level schools and programs. Why, in learning institutions that encourage original thought and the sharing of ideas, do so many students plagiarize? One answer may be the pressure students face to get good grades, or to get into certain colleges or programs. It can be easy to feel that those goals can’t be left to chance, and copying existing work creates more of a sure situation. And college is expensive. A bad grade is like money wasted, whether you’re paying for your education, or someone else is. On that note, students who attend universities on scholarships may not be able to afford bad grades, or they run the risk of losing those scholarships. That’s a scary thought, especially for those who can’t afford to pay for school themselves. It may also be that students feel overwhelmed, especially in college or specialty programs such as law school or medical school where the course loads can be daunting, and the expectations extremely high. Plagiarizing a paper or other writing assignment means it can be completed more quickly when there’s no real research or original thought involved, freeing up time for other assignments and work. And let’s be honest, for some, it’s a matter of laziness. It’s easier to copy someone else’s work than to put in the time and effort to create something of your own. Then you can do the things schoolwork is keeping you from, such as going out with friends, playing sports, sleeping, playing video games, whatever it is you want to do. All of these things are understandable, but not excusable. There’s a difference. Everyone feels overwhelmed from time to time, whether in school, at work, or at home. Everyone sometimes takes on more than they can handle. And of course everyone prefers to spend their time doing fun things. School is hard work. No one denies that. But it’s going to become even more difficult if you’re caught plagiarizing. Isn’t Information on the Internet Free For Anyone’s Use? The short answer is no. Over time, as the Internet has grown and become a primary source for information for so many people, it can be easy to think that much of it is freely available, there for the taking. But all information has to come from somewhere, has to have a source. Information does not simply appear on the Internet. It’s placed there, either by the people who created it, or the organizations that curated it. Work created by someone is intellectual property, and it’s protected by United States and international copyright law. Whenever you use information you find on the Internet, you must cite the source where you found it. How Will Anyone Know if You Copy Their Work? It’s much easier than you may think to discover instances of plagiarism, whether the information was taken from an online source, or from a print source that has been digitized and uploaded to an online source. Finding copies of written work can be as simple as placing a unique string of words into a search engine, but many tools exist for the sole purpose of discovering plagiarism. The creation of those tools has been necessitated by the prevalence of online plagiarism. As technology has advanced, so has the ability of these tools to discover even the smallest instances of plagiarism, even on small sites with little traffic. And because so many books (including encyclopedias) have been digitized and shared online, it’s nearly as easy to find passages copied from print sources. Now more than ever, if you plagiarize, you risk being found out fairly quickly and easily by anyone who takes the time to look, whether by design or by accident. In addition, whenever you enroll in another class, or if you’ve been expelled and try to enroll in another school, the plagiarism charge may follow you. It can have an effect on whether or not another school decides to accept you as a student. And even if you are allowed entry to another school, you’ll be starting with a lack of trust from your professors, the administration, and possibly your fellow students, if word gets out about your previous trouble. If you’re caught plagiarizing in high school, you may have difficulty getting into the college you want, or any college, for that matter. If you’re caught plagiarizing in college, you may lose the ability to graduate with any honors, or to participate in any special programs the school may offer to deserving students. It’s also possible that plagiarism will follow you beyond college. After you graduate, when you’re trying to find a job, if potential employers discover that you have previously plagiarized published work, you may have a difficult time getting hired. No employer wants to hire a dishonest employee. 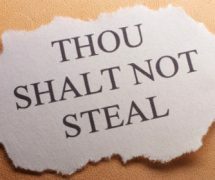 Getting back to plagiarism essentially being theft, this means an employer would have to be amenable to hiring a thief to work in their company. Would you hire someone you thought might steal from you? 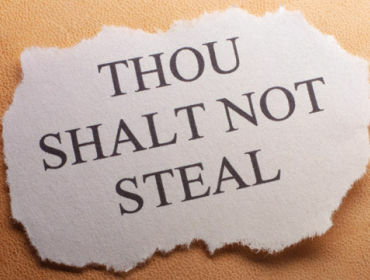 It seems easy at first glance – just don’t steal other people’s work. But if you were previously unaware of the many types of plagiarism, and have engaged in one or more of them, you may find it difficult to break the habit. First and foremost, be original. Write your own thoughts. Draw your own conclusions. Share your own ideas. This is the best way to avoid plagiarism. That said, there will be times when you must write about existing facts and data, and for some information, you’ll be limited in the number of ways you can express it. For example, there are only so many ways to write instructions for starting a car. You make sure the car is in Park with the emergency brake on, you put the key in the ignition, turn it, apply a little gas if necessary, and the car starts. How many original ways can that be worded? Not many. Such instances are understandable as being limited in the number of ways they can be written. Few people are going to claim you plagiarized a vehicle’s operating manual because you listed the steps to start a car. But for information that’s not so common or widely known, but that you’re unable to word in an original way because it doesn’t come from your ideas or perceptions, you must cite the source. Every school and organization will have its own rules about citing information, so before you write a paper or begin a project, check with your institution to find out whether they have a citation style guide, or any rules pertaining to information citation. If no guide is available, then be sure to cite original sources in a logical and organized manner, and do so consistently. This can mean using footnotes or a bibliography. Either way, you must ensure all original sources are cited, and the information is clear and easy to understand. If the project you’re working on is digital, then links will be your citations. It’s highly uncommon to see footnotes on a Web page (unless the Web page is displaying a digital version of a print source that used footnotes). Linking a few relevant words to their original source suffices as citation in the digital world. Aside from the many possible consequences of plagiarism, and the fact that it’s just wrong, plagiarism truly is unnecessary. You don’t have to be a grand writer of prose to share original ideas. While going the original route may be more labor intensive and time consuming, in the end, doing your own thing and producing work you can be proud of will be worth all the rewards that come from persistence and dedication. Related Article: Don’t Know How To Start Writing?